Where Can I Sell My Hair for Extensions? 1 Where Can I Sell My Hair for Extensions? Wigs come in several lengths and colors and can be found at any beauty supply store, either online or offline. However, finding a decent-quality wig can pose a bit of a challenge for someone who is new to purchasing wigs because so many options exist. High-quality wigs are a practical option for those who want to look their very best, no matter the occasion. Search online via "cosplay" websites and forums. Websites such as Cosplay Island offer helpful advice for those seeking high-quality wigs. This information is helpful even for those who's intention is not cosplay, which is dressing up like fictional characters, because it discusses how to find people who sell high-quality wigs. Community forums such as the one at cosplay.com (See resources) also regularly discuss what goes into finding wigs of a higher-quality. Check the description to see what materials were used to create the wig. Websites such as ebay.com and amphigory.com (See resources) have a description area that displays detailed information about the wig. It's best to have a wig that's made entirely from human hair but if this is not an option, a wig that is made of horse hair should do as long as it is properly taken care of. Grooming a wig should be similar to grooming human hair. If it isn't, the wig is of poor quality. Check for customer feedback or testimonials. Websites such as ebay offer a chance to view a seller's feedback. Take advantage of this feature as it will make it easier to avoid issues with the seller or the wig-quality later on. A ratio of one negative per 100 positives at minimum is preferred as this usually indicates a serious and dedicated seller. Non-auction websites usually offer an area for testimonials. 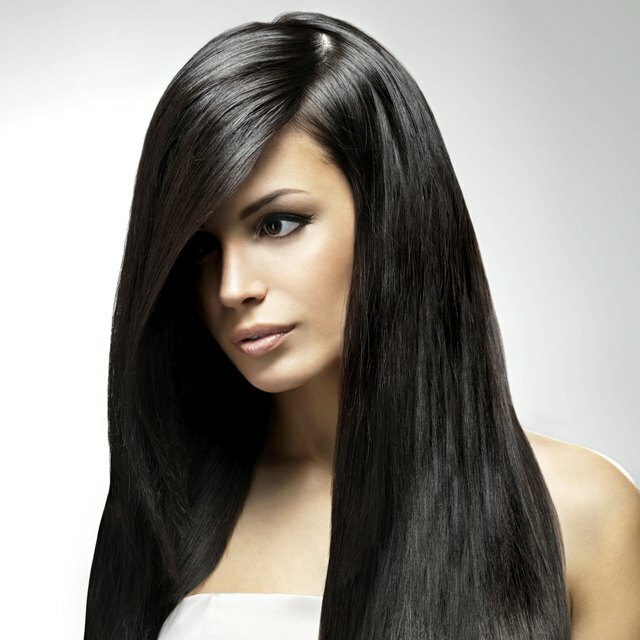 If there are more than three positive testimonials that typically indicates a website with high-quality wigs. Ask the vendor if their wigs have appeared in hair shows or at other public events. Some online vendors have had their wigs appear on models, events such as conventions, and even in international hair shows. This is not a requirement of the seller but if the seller has had his wigs appear at events, this usually adds to his credibility. It's best to shop for a wig online because there is a wide array of options available versus the limited amount of wigs available while shopping locally. If you're uncertain about purchasing a wig online, ask a local hairstylist if she knows where to buy a high-quality wig. Be careful when purchasing wigs from ebay. Some wigs are low in quality even though they aren't cheap. Be sure to ask about the materials that the wig is made of if it isn't listed in the description. Also ask if the wig can be easily styled using a brush. Gonnette Almurey is a professional freelance writer with a heavy background in fiction writing. Her expertise in non-fiction topics include finance and freelance advice. She has been a professional writer since 2004. She currently holds a Bachelor of Arts in English and is actively working towards her Master of Arts. How Often Do I Have to Wash Synthetic Wigs?